If you've ever wished Stephanie Alexander's Kitchen Garden Foundation program was around during your own school years, you will be pleased to learn it is not too late to be involved. All you need to do is dine out at one of the Foundation's partner restaurants during the month of May. Called Turning the Tables, this fundraising campaign sees a host of supporting restaurants – including Melbourne's Grossi Florentino, Sydney's Billy Kwong, and Adelaide's Shobosho – collect a dollar per patron per bill until May 31, for donation to the not-for-profit SAKGF. Unfamiliar with the SAKGF? 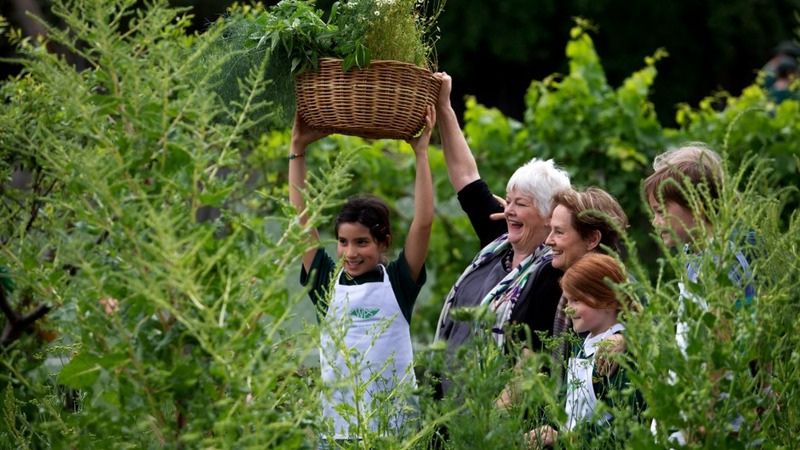 Established by Stephanie Alexander in 2001 at Collingwood College in Melbourne, it is a food education program designed to teach primary school students how to grow, harvest and cook. It is not a compulsory part of the curriculum – schools choose whether or not to implement the program – although currently, it is in more than 1700 schools across the country. 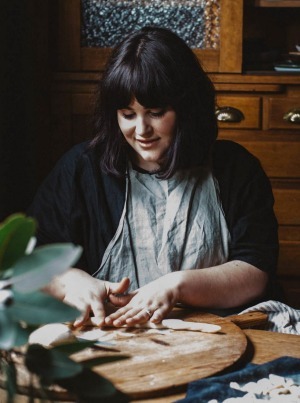 Julia Busuttil Nishimura – known in the food world as Julia Ostro, after her blog and recently-published cookbook of the same name – is both a Turning the Tables Campaign Hero and a SAKGF teacher, teaching the program to grade three and four students at North Fitzroy Primary School. "The program is so holistic, it's not just about cooking or gardening," she says. "The kids are writing recipes and measuring ingredients, and we talk about weights and dividing things. It's life skills." Uniquely, Ostro teaches the program entirely in Italian. Italy was the catalyst in Ostro's own discovery in the joys of food – she worked as a nanny for a family in Tuscany when she was 22 – and by doing so, she's found that (as well as adding a language skill into the mix) she's been able to transmit that joy onto her students "without being preachy". They're learning that caring where your food comes from can be fun. "Going to the markets in Italy was eye-opening," she says. "The family [I worked for] had such strong relationships with the farmers, and we lived by the sea so we'd just buy what was good or fresh that day. "Now when I do it with the kids, I can say, 'This is how Italians shop' and they find it really exciting. They're learning that caring where your food comes from can be fun." Another thing Ostro learnt in Italy is the importance of instruction. "Italians don't muck around when it comes to telling you how a dish should be; they'd tell me if the sauce was too dry, or if the pasta was overcooked. I spent a whole weekend making hundreds of tiny tortellini with the grandmother. I learnt a lot." While she is not quite so honest with her students, she knows it is the involvement and the showing, rather than the telling, that gets them hooked. "Last week, we made carrot, fennel and feta fritters and their first question was, 'What are fritters?' I described them as sort of a savoury pancake. They were a bit unsure, and we started making them and it was like this orange mess, but once they'd started eating them they were like 'Oh these are so yum, can we have more?' "
When it is time to cook at school, it is up to the kids to weigh and measure all the ingredients. The purpose of the SAKGF is also to teach kids about seasonality, so what they make is based on what is in the garden or at the market, as well as what has been talked about in class (next week it is autumnal fruit tarts; fruit is a subject they are currently covering). They cook together as a team, and then – most importantly – they sit down and share the meal together. The SAKGF has done loads of research on the importance of teaching kids to grow, harvest, prepare and share a meal. At a basic level, it helps them form healthy food habits at a young age, it encourages critical thinking and teamwork, and helps to develop or reinforce literacy and numeracy skills, among others. It also creates a huge sense of empowerment and achievement in the students. Ostro sees this in action at home as well as at school. Her almost three-year-old son, Haruki, loves helping out in the kitchen. "If he sees me making pasta he wants to be the one turning the handle, and when we're at the shops he wants to pick out the best ingredients and put them in the basket." She adds that if Haruki has helped to make a meal, he is much more likely to eat it – or at least try it. The same thing goes with a new ingredient. Less common fruits or vegetables, such as persimmons, may be written off by kids (and even adults). But if they have been shown what they are – or even if they have had their inquisitiveness fostered, and feel allowed to ask – they will be more likely to grow or buy them themselves, and tell others about them, too. "Even though it seems really small, those things are so important. They create a positive relationship with food. Kids don't need to cook for an hour every day; just little tiny moments throughout their whole childhood click into something bigger, and empower them to feel confident in the kitchen." It's why Ostro believes so strongly in the Turning the Tables campaign, to further the growth and development of the SAKGF. "One day, these kids are going to be diners at these restaurants. It's so important that both we and these restauranteurs are investing in the future generations of both diners and chefs." All you need to do is dine out during May.